Oracle Latest Interview Questions Technical and HR For Freshers. Oracle Latest Interview Questions Technical and HR For Freshers. Common Oracle Technical Interview Questions. 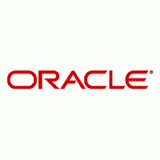 Latest Oracle Interview Questions For Freshers And Experienced. What do you understand by OEM (Oracle Enterprise Manager)? Tell us some of the components of PL/SQL. State main two differences between simple and complex snapshots. What do you mean by the term data segment? Can you Implement queue using linked lists? What are abstract classes in Java and what is the difference between an abstract class and an interface. If a unique key constraint on DATE column is created, will it validate the rows that are inserted with SYSDATE? Find the number of palindromes in a big string. What is overloading and what is overriding? Illustrate with examples. What is the difference between semaphore and mutex? What is the main problem that our country faces at the moment? If you came on board with us, what changes would you make in the system? How many hours a day/a week do you work? Do you think you’re a hard worker? Tell me something about yourself that is not in your resume? What will be your favorable work location? 0 on: "Oracle Latest Interview Questions Technical and HR For Freshers."